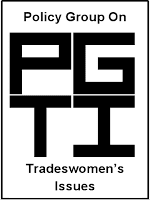 ICANE is proud to offer a presentation from Susan Moir of Policy Group on Tradeswomen’s Issues (PGTI). A nationally recognized leader in the best practices of gender diversity in the union building trades, Susan offers a business case for increased gender diversity in construction. Join us for this impactful presentation on a timely and sometimes controversial subject! SMACNA Boston is collaborating with the Sheet Metal Workers Local 17 and Local 17 Joint Apprenticeship and Training Committee (JATC) to sponsor an Apprentice Contest for 1st to 5th year apprentices. We encourage our members to have their apprentices take part in this great contest!